Georgetown is charming city about 30 miles north of Austin. 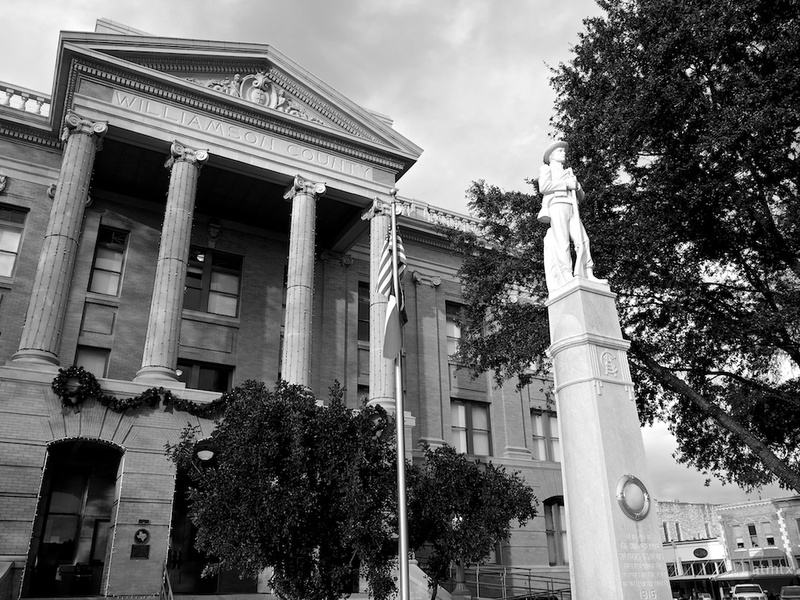 It’s the Williamson County seat and like other country seats in Texas, there is a courthouse, usually in the middle of the town square. I was there today, meeting my friend Mike for some lunch and photography. For the 25 years that I’ve lived in Central Texas, the square in Georgetown has always been nice. But today, it seems even better. The expected antique stores are there, but there are more daring and creative restaurants too. We even saw a new place that combined a mini beer hall with a stylish clothing store. There were at least 5 family photoshoots and later in the evening, several landscape photographers, with tripods, shooting the courthouse. It’s the largest number of DSLRs per capita I’ve seen in a while. With the agreeable 70 degree weather, there was a comfortable, vibrant feeling to the town. Almost like a movie set recreating the heyday of Main Street USA. It was a stark contrast to the slick and big city feel of Austin, which I profiled yesterday. The courthouse with its bolted on Greek inspired architecture, does its job. It’s not my favorite Texas Courthouse, however. The tall white statue in front is dedicated to the Confederate Soldiers and Sailors. As a Yankee originally from New York, I find this disconcerting. It’s dated 1916, which is roughly 50 years after the end of the Civil War. I wonder if it was built as part of a semi-centennial anniversary? It was a good time, thank you. You were using the world’s most popular camera, though.